Indian Coast Guard protects the safety of Indian maritime and they also enforce maritime laws when necessary. The pay scale of an Indian Coast Guard varies according to their designation and contribution to the department. The Coast Guards also get allowances as they face different hardships in their working life. Indian Coast guard is an organization with multiple missions. The organization is not very big, but the organization has a wide range of task capabilities. The organization conducts both air and surface operations. The chief member of this organization is Director General Indian Coast Guard. He gets his command from Coast Guard Headquarters and exercises the commands across the whole department. To control every section of the country effectively, the maritime zones of India are divided into five parts. The Pay Scale of an Indian Coast guard varies upon his designation and contribution to the organization. The Coast Guard of India provides dynamic features by giving the employees a handsome salary and different perks and allowances along with their grade pay. A Yantrik or Navik of a Coast Guard can earn from Rs. 5, 200 to Rs. 20, 200 and the matter of surprise is that this is the lowest post in the Indian Coast Guard. The salary is pretty handsome for the lowest post. The coast guard officers can also get promotions up to Pradhan Adhikari. Their salaries differ according to their rank but yet the pay scale of an ICG is pretty good. The grade pay is given to the government employees as per their category/class. The grade pay of an Indian Coast Guard differs as per their rank and designation. The lowest post of the Indian Coast Guard in General Duty is Navik (GD). The grade pay of a Navik is Rs. 2, 000. The lowest post in Domestic Branch is Navik (DB) and his grade pay is Rs. 1, 900. On the other hand, the lowest post in the Yantrik department of the Indian Coast Guard is a Yantrik and his grade pay is Rs. 2, 400. So, the grade pay given to the Coast Guard employee differs as per their category. The highest amount of grade pay an employee can get is Rs. 4, 800 in Indian Coast Guard. 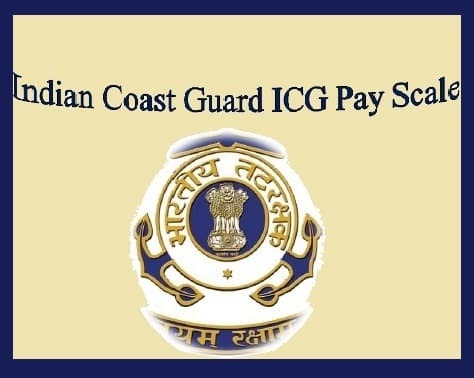 The Pay Scale of Indian Coast Guard differs as per the departments of the officers. There are three departments in Indian Coast Guard which are: Yantriks, Navik (GD) and Navik (DB). The Yantriks are said to be the backbone of the Indian Coast Guard. They operate and maintain the machinery and tools of the Indian Coast Guard ships. Below is a table to showcase the pay scale of the employees of this department. Navik (GD) is the department of the Naviks of General Duty. Below is a table about their pay scale along with their grade pay. Navik (DB) is the department of the Naviks of Domestic Branch. Below is a table about their pay scale and grade pay. The promotion is depended on the performance and knowledge of the employees. So, the deserving employees will always have their chance to be promoted. Earned leave of 45 days along with Casual Leave of 8 days is given to the employees. The employees get free medical and dental care at the time of their duty and they also get medical cover for family. The employees can get an insurance cover up to Rs. 40 lakhs which will be paid on a minimum monthly basis at a premium of Rs. 4, 000. The employees are provided with canteen and various loan facilities. The employees get entitled rations and government lodging for himself and his family. The 7th Pay Commission has proposed that the Z group of The Coast Guard should be merged into Pay group Y along with the Army and Navy Personnel. It has also proposed that the salary should be increased four times from the current rate.